For more than 25 years, Small Arms Training School (S.A.T.S.) 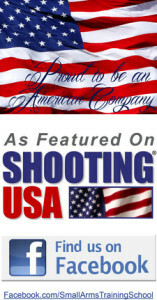 has aimed to be the number 1 choice for all your shooting needs in Franklin, TN! At Small Arms Training School, we promise that when you leave our concealed carry permit class you will be confident and competent as a shooter! Our monthly handgun classes offer both classroom time and shooting time in the same convenient location. Click here for more details and upcoming permit class dates.